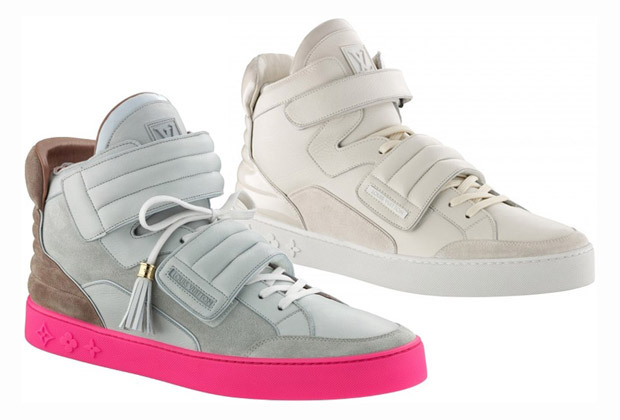 New leaks of Kanye West’s upcoming collection with Louis Vuitton are seen here as the previously shown styles are seen in new colorways. The Velcro’d up mid is seen with ankle and mid-foot straps with tassel’d laces. The Velcro-joints also share the thick cushioned heel. Available starting June of 2009.